GCC spec Lancer from 2011 with a 4 cylinder engine. Black sedan with beige interior. It has CD player and power windows. 4 cylinder grey/silver 2009 sedan. Black interior. Performance tyres, 17 inch wheels and air conditioning. This is a white sedan with black inside and power locks, CD player and 18″ wheels. Automatic Mitsubishi Lancer with 16 inch wheels, parking sensor rear, ABS, beige interior, grey/silver exterior. GCC spec, white 4 cylinder sedan with black interior. It has LED headlights and all wheel drive. GCC spec Mitsubishi Lancer with 750 hsp, 18″ wheels and Keyless go. Price reduced! Mitsubishi Lancer with many features, including front wheel drive, power windows, ABS. Grey/Silver with black interior. This is a white sedan with beige inside and bluetooth system, tuner/radio and 16″ wheels. GCC spec 2016 Mitsubishi Lancer, 4 cylinders, grey/silver sedan with beige interior. It comes with USB and front wheel drive. Imran - I really like my second hand Mitsubishi Lancer EX GLS. A strong car with cheap mechanic cost and they sell very well in the export markets. Perfect cars for Dubai. Hamed - I tried for ages to find an Evolution model in UAE, extremely hard to find, so I settled for a pre owned Lancer GT 1.6 full option. It doesn’t have the power and the looks as the EVO, but it's still a fantastic car and the price in UAE is good. Pros: Price, options and fuel economy. Cons: Finding an Evolution in Dubai is very hard! Mohammed - I bought my import used Lancer EX GLS 1.6 from a dealer online at a great price that I couldn’t say no. It’s a little old, but it still has great specs for the price I paid. The engine is not very strong, though. Pros: Fuel consumption, options and style. Selling one of these cars is very easy due to their low maintenance costs and fuel consumption. Standard Lancer not convincing enough for you? Buy yourself an Evolution model, and you can thank us later. Later models have significantly improved over the years regarding options, engine power and comfortable. Compared to its rivals, the Mitsubishi Lancer is cheaper in some aspects and is an excellent choice for those on a tighter budget than most. Its small presence makes it easy to park which is a bonus anywhere in the world. Mitsubishi were desperate to get into the subcompact sedan market. During the early 70’s the brand mocked up several designs but one stuck out in particular as did the name Lancer. 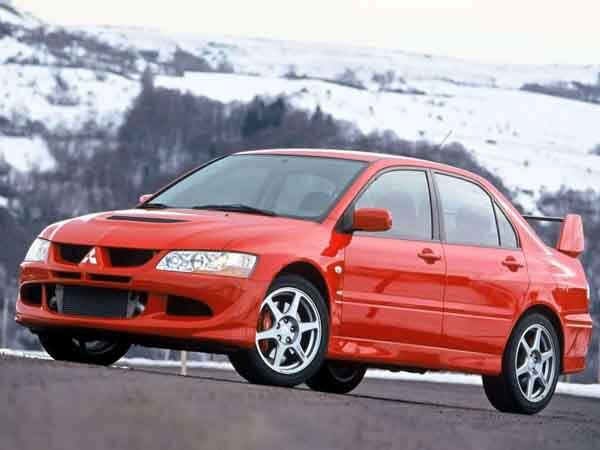 With a rich background in motorsports, the Lancer even has it’s own dedicated sportier version with the Evolution series. For years, these vehicles have proved popular not only for the average working person but rental companies too. Road Rivals: Toyota Corolla, Honda Civic, Ford Focus, Hyundai Elantra and the Mazda 3. 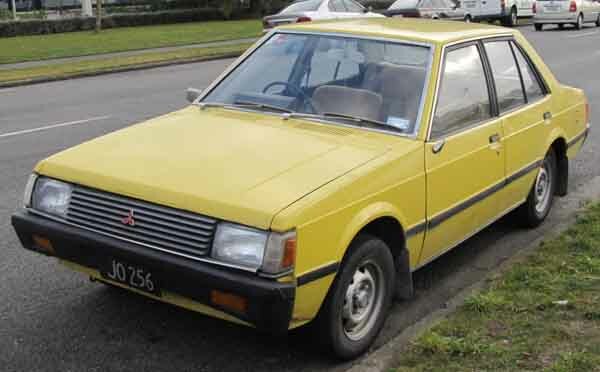 In its first generation, the Lancer was available as a two or four-door coupe, sedan or station wagon. Interior options are essential with fabric seats, manual accessories and manual seats. Power comes from a selection for four cylinder motors with displacements ranging from 1.2-litres to 1.6-litres. The manual transmission is stock. The brand also dipped their toes in motorsports mainly Rally. Want to buy a pre owned Mitsubishi Lancer for sale in Dubai, UAE? These models are quite rare here. In its second generation, remained similar in design to the previous generation with a new lifted face that slants backwards, new lights, rim designs and a reworked interior. Base features are basic once again with the likes of fabric seats and manual accessories. Optional extras include a rear spoiler and air conditioning. Powering these models is a selection of four cylinder motors again mated to either a manual gearbox or an automatic one. Turbocharged engines are also available in these years. Want to buy a used Mitsubishi Lancer for sale in Dubai, UAE? These models are pretty rare in the Gulf regions. 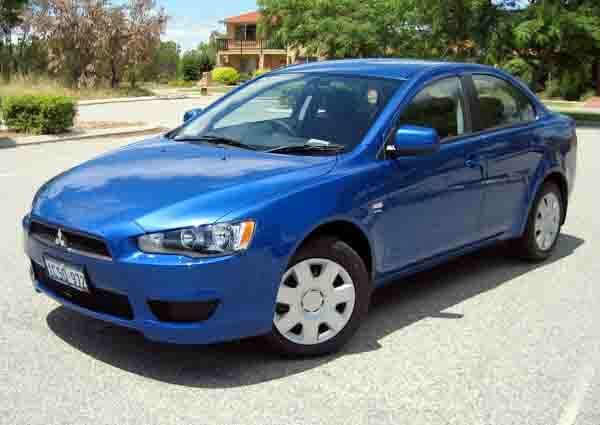 After a brief name change, the Lancer returned in the early 2000’s in sedan form. Station wagon versions are available in select countries. A wide variety of options are available to include a cassette player, CD player, media inputs, dual airbags, tachometer, rear armrest, fabric upholstery, power accessories, rear spoiler, steel rims, keyless entry and ABS. 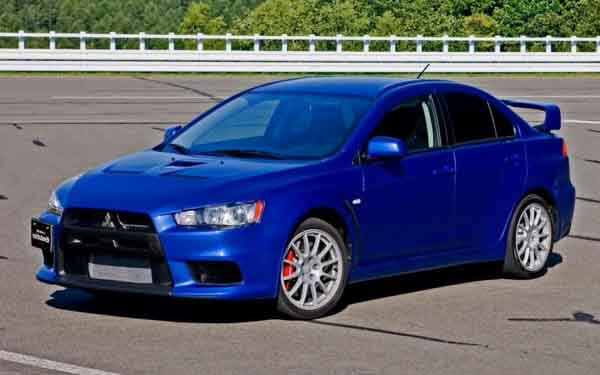 Ralliart models are better equipped with a rear spoiler, 15-inch rims, body kit, enhanced brakes, leather wrapped steering wheel, unique interior trim and upgraded brakes. Evolution VII models were introduced in 2000. Banking on their extreme popularity throughout the years, these models stayed true to their fans with an optional rear spoiler, upgraded interior including a selection of sports seats, chrome door handles, unique instrument panel. Evo VIII models followed in 2003 and have Brembo brakes, Bilstein shocks, and 17-inch rims. Both Evolution models include all the standard and extra equipment from the Lancer. In 2005, the Evolution IX took over. Weighing in at 27 kilos lighter than previous models this model maintained many of the VIII upgrades. Three four-cylinder petrol engines are available to power the front wheels with either an automatic or manual gearbox. Displacements ranging from 1.3-litres to 2-litres. Evos, as they were more commonly referred to are all powered by a four-cylinder, turbocharged petrol engine providing an extra kick. Manual transmission are highly desirable although there are auto versions. In 2004, the model received a light refresh, and in 2005, the Japanese brand slapped on a new front grille. Looking to buy a second hand Mitsubishi Lancer for sale in Dubai, UAE? Prices start at AED 17,000. Mitsubishi revamped the Lancer in the late 2000’s. These models have a flatter front end that gives the cars a touch of character. In fact, the vehicle's entire exterior is reworked and appeals to those looking for an alternative to the Toyota or Nissan midsize sedan. Base models are equipped with fabric seats, radio tuner, power windows, manual seats, 16-inch steel rims, keyless entry and driver side airbags. The extras list drastically increases to include larger rims on each corner, ABS, Brake Assist, cruise control, paddle shifters, keyless start premium sound system, dual front airbags, sunroof and media inputs. 2016 models sport a different face that is much tighter than previous years further defining the vehicle's character. GCC countries also sold the previous model shapes up until 2012. In 2013, they replaced it with the Lancer Fortis that comes stock with fabric seats, powered accessories, front airbags, disc brakes and steel rims. There are optional extras that include alloys and fog lights. Evolution X took over from the previous Evo models. 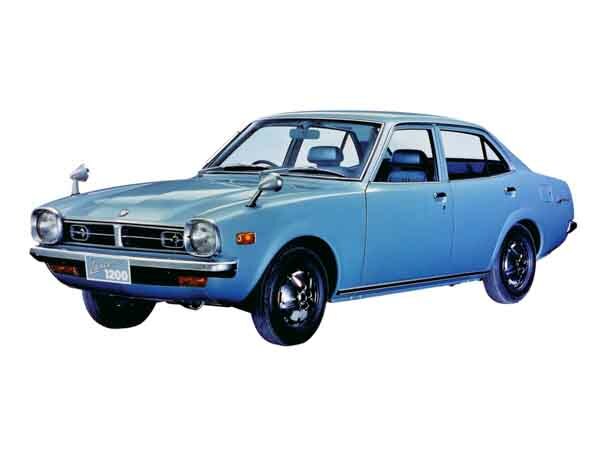 With the original body visible, once again the Japanese brand cut holes in the bonnet and finely reshaped the bodywork to create every teenager's fantasy. With a sportier interior, these cars have an array of features on offer including BBS rims, internal storage device, navigation, Ralliart Body kit and all the features from the top trim Lancer. Unfortunately, in 2016, these models were taken out of production and their fate is unknown. Power is drawn from a 1.5-litre of 2-litre four cylinder petrol engine mated to either a manual, automatic or CVT transmission. Fortis models are powered a 1.8-litre four cylinder petrol motor powering the front wheels and is exclusively available with a CVT. Evo models are powered by a 2-litre turbocharged four-cylinder motor mated to semi-automated six-speed SST twin-clutch transmission. Want to buy used Mitsubishi Lancer in Dubai, UAE? Prices start at AED 17,000.